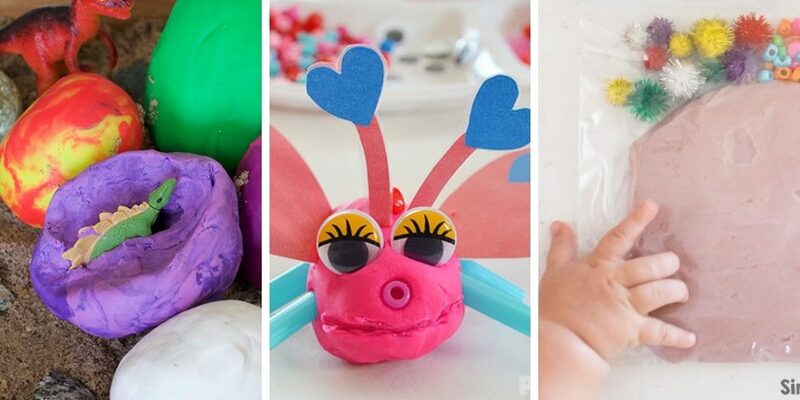 These playdough activities are sure to please kids of any age. 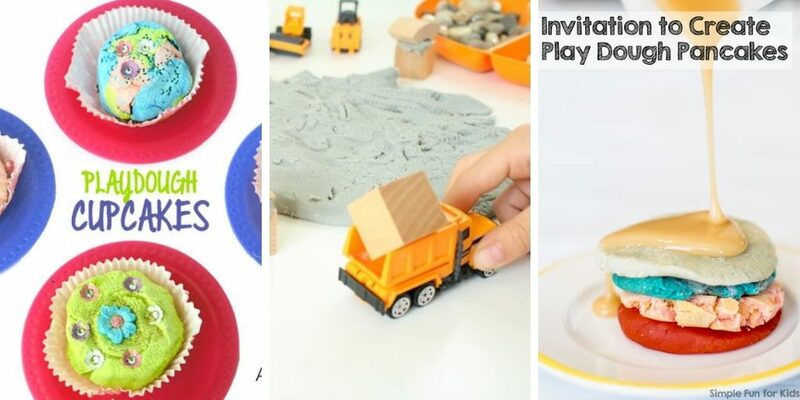 From fun playdough recipes, to engaging invitations to play, and printable playdough mats. 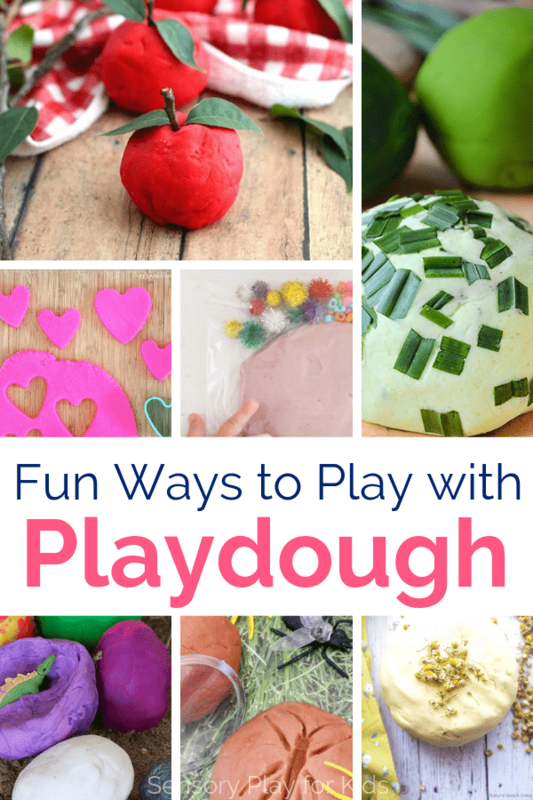 There are so many fun playdough activities to do with kids! From creating your own recipe (there are so many ideas below) or setting up fun playdough activities with store bough dough, you will find something for every child on this list. Playdough is a wonderful sensory tool. It helps develop fine motor skills, and provides so much satisfying tactile input. Kids can roll and shape it, build with it, and learn with it! There are so many fun additions to play dough that you can put in your homemade playdough recipe. 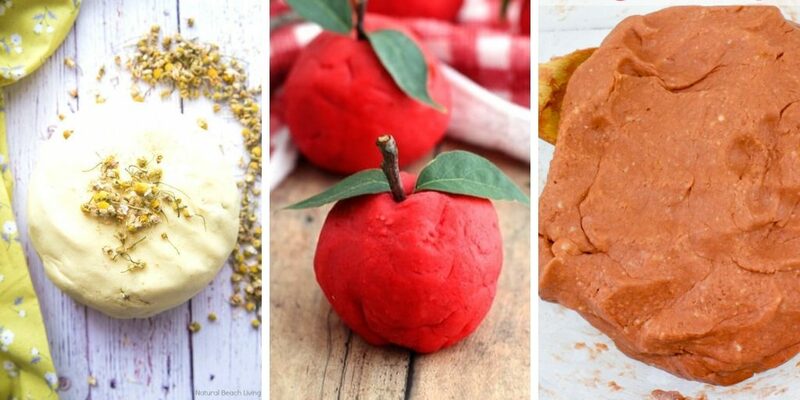 Check out some of these below, including, peeps play dough, apple scented play dough, and even a recipe for bubble play dough you can take in the bath! Kick your play dough up a notch by adding some grass and animals for a jungle theme, or build a snowman, or bake some cupcakes. The options are endless with a dose of imagination and creativity. For a simple setup, print a play dough mat and give children some play dough to play with! 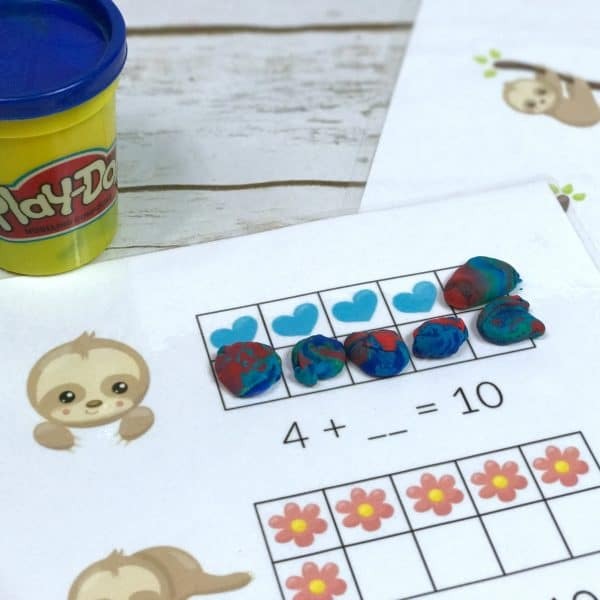 These printables give kids a prompt of a fun way to play with play dough, usually sneaking a bit of learning such as color recognition, counting or letter building in there! 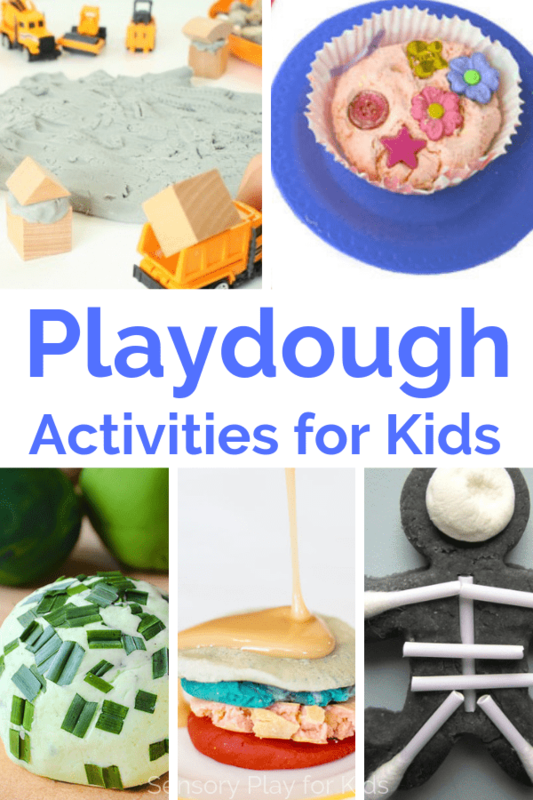 Have so much fun with these playdough activities for kids! So many wonderful ideas to choose from. 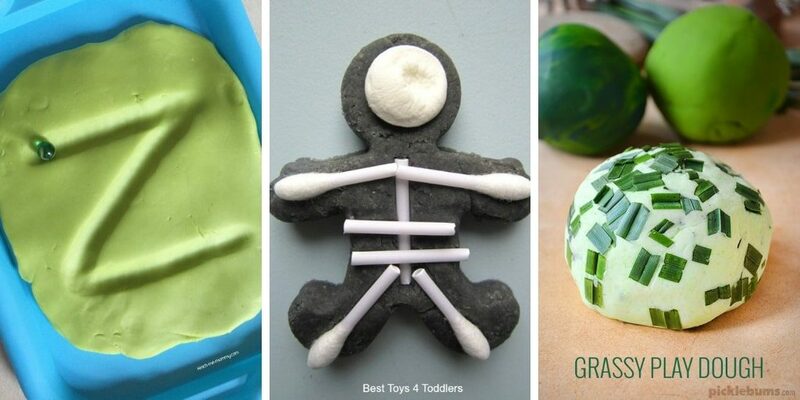 Whip up a batch of homemade playdough, or set up a fun new way to play. Sensory play is full of benefits for kids, and playdough is a wonderful medium. Enjoy!